You may have had a Checklist assessment for NHS Continuing Healthcare funding, and you may also have had a full multidisciplinary team assessment (using what’s known as the ‘Decision Support Tool’ or DST). At either stage, you may have been turned down for funding by the local NHS. This decision can be hugely frustrating, especially when you know that your relative has significant health needs. If you have been turned down, you can appeal. Make sure first that you’re familiar with the Continuing Healthcare eligibility criteria. Write to the Manager or Coordinator of the NHS Continuing Healthcare team at the local NHS Clinical Commissioning Group (the local NHS). This is the team that made the decision and/or arranged the assessment(s). State that you disagree with the outcome. and why. If you’ve been turned down after the MDT meeting, confirm that you will be appealing. You can also ask for this stage to be repeated if you can show that it wasn’t done properly. State that you will be providing arguments and evidence to support your appeal in due course. The NHS may reply giving you just a very short time in which to do this. You can, however, remind them of the official timescales for Continuing Healthcare reviews. Then you need to start pulling together all the reasons why you disagree with their decision to deny funding and submit a written appeal to the same NHS Continuing Healthcare team. The NHS should look at your reasoning and act on it, which may include a reassessment. 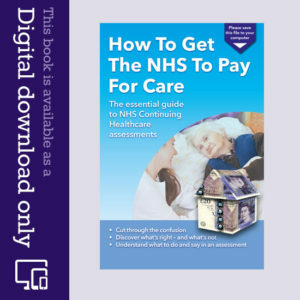 If you have already had a reassessment and you’ve still been turned down for Continuing Healthcare, you need to appeal through a different process: You now need to ask the NHS England (the NHS National Commissioning Board) for an Independent Review. Read more about the various stages of the NHS Continuing Healthcare assessment and appeal process. Watch out for the misinformation you may be given during assessments and appeals. Read our frequently asked questions on NHS Continuing Healthcare. You’ll find some extra tips on putting together an appeal. Your local CCG should give you a copy of the appeal process. I appealed to Hereford for my mother. In their appeal process it was very clear that I was entitled to copies of ALL of the paperwork prior to the meeting. This proved essential as I was able to refer to these notes in my written submission. It was two very thick files but they contained everything. You should receive a copy of what is being presented to panel at the Local Appeal, however that may only be a summary needs portrait. Can you tell me please where it states that Local Authority should be represented please as I thought it was just the CCG panel reviewing another CCG panel. Local Appeal Panel convenes next week for my relatives case, but we are unable to be there & have struggled to get an advocacy service there on our behalf. The local Appeal is passed off as some kind of chance for the family representative to air their concerns but it is a review of the panel decision – therefore The local authority social services have to discharge their statutory responsibility under the Care Act 2014 and ensure that ‘suitable advocacy’ is available to the person who’s rights are being tested. If suitable advocacy is not available the they cant allow the appeal panel to sit and deliberate as it will not comply with statutory requirements. Mum who has Alzheimer’s Dementia was granted NHS Continuing Healthcare (CHC) funding in August 2015 primarily because of her falls risk and tendency to be aggressive. The falls risk has largely gone (managed need) because she is in a wheelchair and she is generally compliant with care although she did hit a carer last week. At the annual review in January this year the assessor decided that we should go to a full assessment – I had expected that because many have lost their funding in this part of Essex. I fully prepared our case but had been warned what was likely to happen – social worker said eligible, CCG assessor said ineligible. So it goes to CCG management who you would expect to agree that mum is ineligible. Mum is at a very advanced stage with typical needs such as dysphagia / fragile skin / double incontinence / eye problems / mouth sores / anxiety – withdrawal and she is now very sleepy, eating badly and losing weight. Nothing dramatic – really just typical late stage symptoms. I argued every domain from the standpoint of nature-intensity-complexity-unpredictability but you could tell the CCG assessor had her mind made up. My strongest argument is that mum’s diagnosis / symptoms / needs are essentially the same as when she was assessed last year but with the needs becoming more intense. If she was eligible last year how can she be ineligible this year ? (Ok I know the answer – they have changed their interpretation of the domains so as to withdraw funding !). The CCG assessor also made the point (as they always do) that there was a lack of evidence – I responded that the evidence was the same as last year. She had no reply. I guess a lot of folks are going through this. I will appeal through all levels but can guess the end result!. All very sad. Stephen hi! Just to let you know that I am in an identical situation. Today Mum’s funding has been withdrawn. I’m feeling upset and angry! Mum is in a good Nursing Home keeping her settled … but the needs are all still there. …. and when I’m told it’s nothing to do with the local financial budget I could scream!! Hi Karen If your mum’s needs are much the same as at the last assessment then (as in my situation) the CCG are reinterpreting the same evidence which is something that they should not do. As you say it is a budgetary decision (which of course they cannot admit !). Good luck! Hi Stephen thanks for replying. I am sitting here typing up all Mum’s health needs in a folder and adding it to the review notes. Am I deluded that I think I might make a difference?! Friends, trying to be kind to me, tell me to not give up the fight,but I don’t want to do battle all the time! Hi Karen. Firstly let me say that having fought many months for my Dad’s care, I understand what you’re going through and how tough it can be. You can win (I did), but it requires cool-headed doggedness. You need to get beyond the initial anger and frustration, avoid things you can’t prove, learn the relevant facts (this site is an excellent resource) and adopt a determination to win. One of the main things to realise is that many of the professionals involved in this process are either ignorant of the law and their own guidelines, or are deliberately trying to mislead. You beat them by challenging them with facts; by asking them to justify their position with evidence and by drawing their attention to their legal obligations. Ask if they’re familiar with the newly published NHS national framework (https://www.gov.uk/government/uploads/system/uploads/attachment_data/file/690426/National_Framework_for_CHC_and_FNC_-_October_2018_Revised.pdf). It’s more helpful than before because it spells out the legal obligations more clearly. Read it through yourself and highlight those sections that you think are helpful to your case. If you have any specific queries don’t be afraid to check back here. Good luck. Thank you for your kind words about the website, Steve. I’m glad it’s helpful. Keep in mind that the revised National Framework doesn’t come into operation until October, and the current one is valid until then. Sorry, I hadn’t realised it wasn’t published yet. Nevertheless, I would still quote it if it helped my case. From my initial cursory reading it appears not to add much that’s fundamentally new but it restates and reinforces the existing requirements in clearer and more explicit terms. Jeremy Hunt seems to be making some useful noises lately, amongst other things “An end to the ‘lottery’ that sees dementia patients face higher costs than those with other illnesses such as heart disease”. Let’s hope it’s more than just rhetoric. If it is of any help to anyone I focused my appeal on my mother’s deterioration as that had not been taken into account at all. She was granted NHS Continuing Healthcare (CHC) when she was on end of life care “as it was clear then that she was dying” quote from the nurse assessor. However she had deteriorated from very early on in her placement at the nursing home. I proved this by going through all her notes with a fine tooth comb – itemising when she started to refuse food and medication, when she stopped responding to anyone etc. Although I didn’t get CHC for all of her time in the nursing home they did fund a couple of months prior to the end of life care. It is right that you do need to focus on evidence and pick them up on errors because there will be some or even many. It is a difficult thing to do as it is so emotional and easy to become angry. At times I was ready to give up completely but if we all did that nothing would change. Hopefully things will improve but not without a fight, and support and advice from Care to be Different was vital for me. Thanks for sharing your experience, Lynn, and for your very kind words about Care To Be Different. Thank you Stephen, Steve, Glynis, Lynn and Angela for taking the time to reply and boost me. It makes such a difference to know others have gone through it or are in the midst of it now. If I may I will come back and ask your advice again. I watched an Olympic athlete on TV explain how he visualised winning a medal … I’m doing the same with my appeal!! Hello again, it’s me one month down the road! I’m in need of advice please. The NHS Continuing Healthcare (CHC) funding has been withdrawn and I intend to appeal I am gathering evidence currently to support my case. However just in case I am unsuccessful, I have given notice that I intend to take mum home as she has a house suitable for accommodation and if, as the CHC assessment states, her needs are purely social (they are not) they can be provided at home with me providing 24 hour care with the help of carers coming in for personal care and hoisting. Of course the social worker is now realising that the health needs of Mum are so great that she should have spoken up at the CHC meeting and been more forceful to make it a primary health need that Mum has and not a social care one! My question is how do I prove that Mum is either a social need OR a health need … not someone stuck in limbo between the two! I know social services have a legal level beyond which they cannot legally provide care … but how do I prove it? HI Lynn I cannot disagree with you but you would not hear a nurse assessor from our CCG commenting to the effect that end of life counts as a need / primary health care. Their attitude is that if you have Alzheimer’s and are quietly proceeding along that road then you almost certainly are not eligible for NHS Continuing Healthcare. The assumption is that any nurse intervention is ancillary / incidental to social care. Well, that was definitely not the case with mum this morning … ! With regards to end of life/palliative care, The Decision Support Tool encourages practitioners to document deterioration (This can include both likely & observed) in a person’s condition to allow this to be taken into account when determining eligibility. National Framework guidelines are also quite clear on rapid deterioration / end of life phase, stating that assessors should consult with the appropriate clinicians regarding their knowledge & experience to confirm that the individual has a rapidly deteriorating condition that is in a terminal phase and with an increasing level dependency. This may mean that the individual has to be Fast Tracked. The law says “ancillary or incidental to the provision of accommodation” , not social care. In my appeal letter I argued that since my dad already owned his own home, he had no need of accommodation. So the accommodation provided by the care home was mandated by his health need, which therefore could not possibly be construed as ancillary or incidental to the provision of accommodation. Nursing staff tend to assume that health care can only be provided by qualified nurses and therefore any other care is not health care, but the courts disagree: “It’s all nursing – caring for the sick” (Lord Woolf, summing up in the Coughlan appeal case). I have an aunt who is currently in a nursing home she is 96yrs of age, the care she receives is excellent, and my uncle who is 95yrs visits her daily. My aunt is frail and requires help in all aspects of daily living, and has dementia. During a very recent re assessment it was voiced that she may have to move to another care facility as her care needs were being downgraded. The outcome is yet to be decided upon, but has caused a lot of distress for my uncle who himself is frail, and would be catastrophic for my aunts well being. Have you any advice in circumstances such as this. My aunt’s nursing needs haven’t changed during this placement and we are finding difficulty why this is happening, except for a funding issue. You should look at what care needs have been downgraded because her health has apparently improved. At the age of 96 she may be being cared for well. Therefore she may appear to be quite good for someone of her age. But if that care is removed her needs will go unmet. To illustrate – if a car is looked after by a good mechanic it lasts longer. But if you put it in the hands of a bad mechanic, the car’s needs will become greater because it will get rusty in parts that the good mechanic used to tend to. If you think it is going to be detrimental if she’s moved, then you should ask the Local Authority to undertake a Best Interest Assessment. This will determine the risk of moving her and what is in her best interest. Please would you tell me if it is legal for an appeal to be carried out just by the NHS or does Social Services need to be involved too? Hi, my daughter has recieved confirmation of a primary health need on Dec 8 2016. She has severe learning disabilities and autism plus an un-diagnosed sensory need. Prior to recieving confirmation there were 4 failed assessments due to failings of assessors which Continuing Healthcare apologised for. During the Decision Support Tool (DST) meeting the co-ordinator and lead assessor was rude, dissuasive, and dismissive of information offered to assist in the meeting. The outcome was that she did have a primary health need at severe level though the co-ordinator, lead assessor did everything possible to reduce domain levels presented by nurse, social worker, professional consultant, family. We requested copy of DST before presentation to commissioners as the DST could not be fully completed on that day. This was not done. Finally got copy of DST 6 weeks ago only to find domains had been altered and reduced by co-ordinator assessor. This was confirmed by others in meeting. Diagnosis was also incorrect and also incorrect statements added. This is a legal document that effects lots of aspects of my daughter’s life , example being: care plan, behavioral assessments, reviews. How do I get this corrected and why would somebody do this, surely not to reduce financial implications. Why? I have finally received a date for the appeal for Continuing Healthcare (CHC) funding. I have not been asked for any written evidence and in fact have been told that I do not submit anything. I just turn up to the meeting. Surely this can’t be right. At a recent best interest meeting I asked the head of social workers at the Hospital if they complete a Local Authority (LA) Limits test to ensure the LA is not breaking the law by taking responsibility for my Aunt’s care. She said she had never heard of it. I also emailed the county council social services and requested a copy but was told they work closely with NHS and was given info on Continuing Healthcare (CHC). It would appear that LA are routinely breaking the law by assuming responsibility for care when no CHC Checklist has been done and when a Decision Support Tool is completed and the majority of the time ‘fails’ the LA accepts responsibility by default. Can anyone provide a copy of the LA limits test or explain to me how I can evidence the LA are breaking the law apart from showing the Coughlan test case. Every time I mention Pamela Coughlan I’m either ignored or dismissed. Did you ever get information on the “Local Authority Limits Test”? A direct link to more info would be great. The absence of a social worker means that the local authority was not party to the decision making process and yet the NHS can only reject funding if the local authority is legally permitted to accept responsibility. So how can a decision be made in their absence? I would appeal on the grounds that the MDT was not properly represented and that the NHS was therefore negligent in allowing the DST to proceed and in making a potentially unlawful decision without social services representation. Furthermore the decision was not Coughlan compliant as required by the National Framework and the law since your father’s needs clearly exceed those of Miss Coughlan. On the basis of that guideline your father would be beyond the scope of LA provision and hence has a primary health need that is the responsibility of the NHS. As far as evidence goes I’m not aware of any time limitations. I would consider that anything that is pertinent to the case can and should be presented. I submitted evidence from 4 years ago at my father’s DST. I’m also in the process of starting to lodge a NHS Continuing Healthcare appeal. I’m trying to locate the ADASS publication you refer to here but so far cannot – can you possibly provide it’s full title? Thanks for your help. I’d suggest you also do a search for “adass continuing healthcare” as well, since there may have been further publications since 2007. Firstly, your website has been of huge support and a wealth of information; thank you! My father has just been turned down for CHC funding. On the DST he scored 1 severe, 3 high, 5 moderate and 4 low (he has needs in all areas). As a result of a severe brain haemorrhage, he has severe cognitive impairment, cannot communicate, cannot swallow and is doubly incontinent. At the MDT there were only 2 people, the discharge nurse and the lady from the CCG (who had a nursing background). The social worker did not attend and prior to the decision we had no contact with the SW at all. Is this grounds for an appeal? Furthermore, at the MDT meeting we were told that we were only allowed to submit evidence that was 4 weeks old. I am sure I read somewhere that evidence can date back to 3 months. Am I correct in this? Again, is this grounds for an appeal? Finally, my father has a severe allergy to bee stings and requires an epipen. In my opinion this makes him a ‘higher risk’ patient, because he cannot communicate his needs at all and thus more vigilance would be required. I feel the best fit category in this situation (including the fact he requires other medication via a PEG) takes him into the ‘high’ category. However the nurses at meeting refused to accept this. Can I pursue this line as well? I take the view that you are entitled to make any representations you choose in support of your case. I don’t see why you can’t have somebody else present as a witness. However, if the staff member is unable to attend perhaps you could get a signed statement from them listing the points that you consider important to your case. Written evidence can be more difficult to challenge and is automatically part of the record. I intend to have someone taking written minutes when my dad’s appeal is heard. The main thing is to be confident in your grounds for appeal, stick to those points and reiterate them as often as necessary to ensure they are acknowledged. Thank you Steve that makes perfect sense to submit written statements. I think sometimes you cannot see the wood for the trees in these situations; it simply overwhelming. Absolutely right, Steve. Yes, you can take anyone you choose with you to an assessment or appeal. This is set out in the National Framework guidelines. I have a pending Continuing Healthcare (CHC) appeal with in the next 2 weeks. The person who was meant to be accompanying me, a senior member of staff from my daughter’s care home, is unable to attend on the appointed date. I contacted the appeals department in the hope that I could re arrange the appeal. I spoke to the a lady panel member who stated in no uncertain terms that the appeal would not be re scheduled and that I was not allowed to take a person as a witness from my daughter’s care home, as this would represent a conflict of interest due to the staff member receiving payment for her time. The lady further stated the appeals process was not to gather further evidence or for people to be cross examined but merely an opportunity to allow me to have my say and for the panel to make their decision. I did not want to get into a confrontation with this lady as I was worried this would prejudice my future dealings so I didn’t challenge further. I am not convinced and feel very anxious. Any advice please? Thank you; I am in the process of penning a response to them and your comments Steve are particularly helpful. It’s a very stressful time and not made any easier when you have a CCG that are as deliberately obstructive as this. I am astonished too, Janis, and I think you may be right in your suspicions. There’s nothing to stop the person being assessed being present at their own assessment/review. “Should she need any care during her visit…”, no doubt they are referring to the care that their initial assessment has already determined to be merely “incidental” to her need for accommodation and within the scope of social services, which rather begs the question – in that case why are they so concerned? If the CCG can’t provide a venue with adequate disabled facilities for a person to attend their own appeal meeting that’s a pretty sad indictment of their ability to provide care for those in need. This site is a great resource – thanks. I wish to appeal my father’s CHC assessment on the grounds that the team failed both to consider and to comply with the findings of the Coughlan judgement as required by the NHS National Framework and the law. At the start of the assessment meeting I asked the team how they would ensure compliance with the Coughlan judgement. The NHS representative replied that the Coughlan case was old and that there have been other cases since then that have changed the situation, implying that Coughlan was no longer relevant. I said that the Coughlan judgement clarifies the 1946 National Health Service Act (which became law on 5th July 1948) and that as far as I was aware that law had not been superseded. At this point the senior social worker said that they were now guided by the 2014 Care Act; the implication being that it abrogated earlier legislation. At the time I was not sufficiently familiar with the 2014 Care Act to challenge the point. Since then my detailed investigations have upheld my conviction that the Coughlan judgment is just as relevant now as ever it has been and that the 2014 Care Act has no bearing on the responsibilities of the NHS as set out in the NHS Act. So the statements made by both senior members of the multi-disciplinary team were misleading, disingenuous, or negligent. The fact that the team chose not to include this portion of our discussion in the assessment notes strengthens my impression that compliance with the law was not a feature of the team’s agenda. I can entertain only two possible conclusions: either, there was a deliberate intention to deceive, in which case the assessment was prejudiced; or else, the team sincerely believed that what they were saying was true, and therefore lacked the knowledge necessary to ensure compliance with the Framework and the law. In either case I consider the team negligent and the assessment was thereby impaired. In the cases brought before them the courts have consistently pointed out the flaws in the NHS approach of equating “need” with “care”. Need is not diminished by the nature of the treatment nor the relative qualifications of those administering it. Lord Woolf made this very point in his summing up in the Coughlan appeal when he said, “It’s all nursing – caring for the sick”. Local authorities can only legally accept responsibility for care where that care is ‘incidental and ancillary to the provision of accommodation’. Prior to getting Alzheimer’s disease my father had been a strong, intelligent and capable man, living in, and managing, his own home. His need for care came as a direct consequence of his illness. His declining mental capacity and tendency to violent outbursts made him a danger to himself and those around him. It follows that his health need is neither ‘incidental’ nor ‘ancillary’. His primary need is a health need, not one of accommodation. When father was admitted to the care home four years ago the family was told that he would have to pay his own fees. We were not apprised of the existence of CHC and no assessment was carried out. This may have been oversight on the part of the care home or the local authority, but I understand that primary responsibility rests with the CCG. Under the NHS Act, every resident British citizen having an illness, disability or injury is entitled to receive NHS care ‘free at the point of need’. This is a ‘right’ accorded to everyone by law. The NHS cannot legally disown this responsibility, nor can it apply selective criteria that are not included in the Act or upheld by case law. Even to comply with its own framework it should be able to demonstrate that my father’s needs are less than those of Ms Coughlan and from the results of his DST this would not appear to be the case. My mother has been given Funded Nursing Care but was turned down for CHC following the Multidisciplinary Team (MDT) meeting. Going through the Decision Support Tool I’m wondering if I have grounds to appeal. My mother has a number of health issues, Type 1 diabetes (for 65 years), stage 4 kidney failure, registered blind (but partially sighted) and having 2 heart attacks and suffers from angina. However the main issue is really her diabetes. The decision support tool (of which I haven’t received a copy) section on drug therapies she was classified as ‘High’ and the letter confirming the decision said her need was not of, “any complexity, intensity or unpredictability”. However since going into a nursing home on 17th May 2016 she has been readmitted to hospital on 4 occasions for high blood sugar and high ketones. As of today she has managed 25 days in the home and 27 in hospital. This seems to indicate complexity and unpredictability to me. The letter said she would be reviewed within 3 months and that I had 6 months in which to appeal. Have I got a case already or should I wait and see if she is admitted to hospital even more times (which I suspect) and wait for the 3 month review? Tony – you can appeal anything you disagree with, whether that’s the process that has (or hasn’t) been followed or the way the eligibility criteria have been applied. We can’t say whether you have a case for actual eligibility, as this would require looking in depth at your case. If you appeal now, rather than waiting for the next review, and if you are successful, the funding should be backdated to shortly after the original Checklist. I have a question about sectioning under the Mental Health Act in the hope you can clarify and thus enable me to end my five and a half year battle to get NHS Continuing Healthcare Funding for my wife. My wife was placed in the local secure unit hospital under section 2 of the Mental­ Health Act on April 3rd 2009. She was s­ent to hospital for ­a checkup due to low oxygen level (or so­me such I believe) on the evening of Apr­il 30th 2009,and returned to the secure unit a­fter midnight. She then remained in the secure unit until fin­ally being allowed home on June 9th 2009­ — her total confinement being 68 days. I interpret this to meaning that my wife­ should have been allowed home after 28 ­days, and because the section 2 cannot b­e renewed, or extended, she should have ­been placed on a section 3. That would h­ave entitled her to automatic full NHS c­are funding. Incidentally, she lacked th­e cognitive ability to become a voluntar­y patient. This all happened before the government­ changed in 2010 and began moving all th­e goal posts. I only discovered the 28 day section 2 l­imitation recently and believe my wife w­as wrongly treated in 2009, and the past­ five and a half years of my fight for j­ustice could be vindicated if an error was made. I am next of kin and together with my Aunt’s POA we are appealing against a CHC assessment and requesting a reassessment. I have been sent a detailed questionnaire and consent form and assume that the only way a reassessment can be undertaken is to complete this questionnaire. My concern having read your book is whether completing the questionnaire could work against us and would rather make the arguments at the reassessment. Is there a requirement to complete the questionnaire to support an appeal and reassessment ? What’s the questionnaire called, Paul? Further to my last comment – they have now agreed to a full assessment, but only once she has left the rehab unit and is back in her own home. They were very aggressive, and I have asked them to put it in writing. That’s a good idea to get everything in writing, Sue. It sounds as though they have been trying to avoid following the proper process. The checklist was completed for my mother 2 weeks ago, with an A in an asterixed category, and I was told that she would be going through to a full assessment. Now they say that a full assessment will not be happening. How do I fight this? We have had a checklist assessment carried out today on mum, she qualifies for a full assessment which the hospital says they will arrange. I disagree with some of the scores they have given mum. For nutrition they have marked her B and put the comment that she is at high risk of aspiration, surely this should be A as that domain says” …the risk of choking and aspiration to maintain airways”. The reason she is still in hospital is she can no longer weight bear so her care package needs changing, they have marked the mobility section B saying she can assist with transfer, she does not understand any instruction, cannot talk or give consent to anything but is very compliant, she weighs 5 st 9 lb so it is very easy for two nurses to move her around which they say is her co operating. This sounds like the usual thing of assessors either not understanding how to carry out an assessment or a tactic of trying to play down needs. I would put in writing that, whilst you welcome the opportunity for a full assessment, you disagree with some of the Checklist scores, which are too low. By doing this, you make it clear that the multi-disciplainary team assessors should not use the notes and scores in the Checklist as a measure of the true extent of care needs. Hope that helps. We have a continuing care assessment for my mother in law on Friday. I’m a bit concerned by Elspeth’s comments about the nurse saying her behavioural problems don’t count because it is a cognition issue. Surely that can’t be right in any way? The behaviour section includes severe fluctuations in mental state and that is even listed on the form. Mental state is cognitive surely? What is the best way to deal with this if it come up? The Behaviour, Cognition and Psychological/Emotional domains should each be assessed in their own right. Sadly, I have often heard assessors say that ‘people with dementia can’t have any emotional needs’ (which is shocking ignorance) or that the Behaviour domain doesn’t count with dementia, because it’s all related to Cognition. Both are wrong. Each thing should be assessed in the correct domain – and the separate domains should be considered as separate domains. 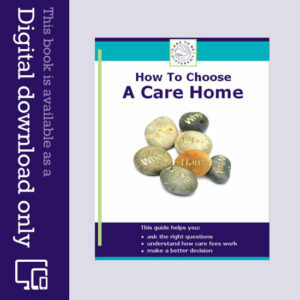 This may help with one of them: http://www.alzheimers.org.uk/site/scripts/download_info.php?fileID=2565. My sister has spoken to the social worker this morning and her scores are still the same as those we have, though I still think the nurse may change hers (or am I just mistrusting for no reason!). The social worker told my sister that she definitely thinks we should appeal, though she said our mam had needs but those needs were being met. I am thinking of getting our MP involved as I wonder if she can do something from the local authority side before our mother’s case is presented to the panel for confirmation of the decision. I really think the local authority are acting illegally if they accept responsibility. Our mother has no choice but to remain in the nursing home as she has a deprivation of liberty order for her own safety – and she has to pay for the pleasure! My mother’s assessment was done this afternoon and she failed to be awarded CHC in spite of her score being one No needs, 2 Low, 5 Moderate, two High and one severe. I made the nurse and social worker aware that I was not happy with the decision to only award the nursing element of the funding (which she has been receiving since 2008). Our mother is like many elderly people described on this site completely helpless, unable to move or communicate, can’t feed herself etc. I told them that I would appeal on the grounds that my mother’s needs were far greater than those of Pamela Coughlan and that the scores she had received proved that she had a primary health need. The nurse started to describe people in intensive care, stating that our mother’s needs were not complex. I asked the social worker if she was aware of the limits of LA responsibility. She told me that all she was doing was agreeing the scores. The nurse said that we just have to live with the laws in the Pamela Coughlan case until another case is fought and overturns those laws. I said that I thought the precedents set by the Coughlan case were fair but it was the way in which they are being applied that wasn’t right. After the assessment we went to see our mother in the dining room, but the social worker and nurse stayed together for a good while longer. When the social worker left, the nurse went into my mother’s room and introduced herself to our mother. My mother repeated the nurses name. The nurse then pointed at my sister and said “who is that”? My mother just stared at her. The nurse went on to ask mam where her soft toy was – where is the cat? My mother repeated “cat” and looked away. The nurse then went to see the care home nurse and told her that our mother was definitely not recommended for CHC. Is the nurse allowed to change the scores after the meeting? The nurse doesn’t have a clue what she’s talking about when she talked about the Coughlan case. The Coughlan case doesn’t need to be overturned. If the nurse is acting without properly understanding this, her role in the whole process is highly questionable to say the least. If anyone changes the scores in secret after the meeting, this is serious misconduct. I’ve just come back from our mother’s NHS assessment. She has been in a Nursing Home since 2008 Suffering from vascular dementia, and other medical problems similar to those I have read about on this site. like many others she is double incontinent’ helpless and unable to communicate. The nurse doing the assessment was a general nurse, who put our mother’s behavioural problems down to her cognition problems, so the fact that she refuses to eat, won’t have her teeth brushed, nails clipped and cleaned and refuses her medication (now given covertly, so not a problem then!) etc were not considered because she doesn’t mean to be awkward, though to my mind it is passive non-compliance and unintentional self neglect . I would appreciate anyone else’s thoughts on that one – anyway she scored her only ‘no needs’ for behaviour. I have to say that she doesn’t display aggression whilst refusing, she just turns her head away or snatches her hand away sometimes with a scream, but that’s about it for that. Anyway that was her only no need score. The rest of her scores were one severe (cognition), two high scores (communication and mobility), five moderate and two low scores. When we were told that she still only qualified for the NHS Nursing element and not NHS Continuing Care, I explained that I was not signing to say that I agreed with it because the decision was not Coughlan compliant and went into the scores and video’s of Pamela Coughlan. I said that if this recommendation went through, which I’m sure it will, I Would appeal and wanted a copy of the DST and copies of all notes made. I also reminded the Social Worker of the legal limit and told her that if she agreed for the LA to continue to be responsible for our mother then she could be signing up for the Local Authority to break the law. She said that she was only agreeing the scores, nothing else. Anyway, we were told that we have to wait until the week after the Bank Holiday before the panel sits and the decision will be sent to us and then we will be able to appeal. After the meeting the nurse and the social worker stayed behind while we went to see our mother in the dining room and then we took her up to her room. We spent some time with her and I left. My sister stayed as she thought they might come to see our mother – she was right. The nurse walked into mam’s room and started to ask he questions (after being told our mother could not communicate). The nurse said hello, my name is Jeanette, mother repeated Jeanette. She pointed to my sister and said “who is that” our mother just looked at her. she then asked where is your cat (as we told her mam had a fluffy cat that she liked to cuddle). Mam replied cat and looked away. The nurse went down to see the care home nurse and told he that mam definitely did not qualify for Continuing Care so we now wait for the decision letter so that we can appeal! Oh and before the start of the meeting the social worker asked for clarification of how mam was funded as it is not clear from her records. I am now concerned that the nurse and social worker may have altered the scores after we left as my sister said they seemed a bit worried when I started quoting Coughlan and the legal bit about the Local Authority. Is there any advice you can give me regarding this last bit? It sounds as though the nurse either doesn’t understand the way Behaviour and Cognition are assessed – or she was just trying to avoid acknowledging the degree of care required. It sounds as though you made some good points in the meeting, Elspeth. Regarding the social worker, it’s too easy for a local authority representative to simply say they’re just there to agree to the scores; unless they play a proactive role in considering whether a person is beyond their legal remit, they might as well not bother! And, as you say, that then potentially puts the local authority in an illegal position. The NHS nurse cannot make a decision about eligibility – only a recommendation – so she was quite wrong to unilaterally tell the care home your mother is not eligible. You could consider writing to the Head of Adult Care at the local authority highlighting what’s been going on (as well as going through the NHS appeal process if needed). I have a review panel meeting soon for a period of assessment that we feel was wrongly turned down for NHS CHC (the CCG downgraded two of the domains that the MDT recommended with no proper reason). Two of the checklists done during this period, in our view, were fabricated. We waited 14 months for copies of them and then we received computer generated, unsigned, uncompleted similar checklists and more importantly were not told at the time of the dates of the assessments so could not attend, and after thoroughly checking the nursing home care records since, found there to be no record of these assessment visits to our Mother on those dates. This would indicate that our Mother was not actually assessed for over 3 years, obviously not following NHS Framework Guidelines! Surely this is criminal fraud by the CCG and my Mother who has subsequently died, has had her assets “stolen” from her. I will not go into details of her healthcare needs here, but suffice to say they definitely met the NHS CHC domain criteria. Would you advise just plodding on with the review or taking the CCG to court for fraud? You have been having fun (not). Because there are no sanctions within the National Framework for wrongdoing it is pathetic. I would get sacked or even go to prison were I to behave the way that the NHS thinks is correct. Here goes………………2010 We had an initial assessment on my mum. 1 x Hand written DST (signed by us). It contained two severe levels and many highs. 1 x Exact (in principle) Transcript of the handwritten DST. —- Ditto —- exactly. This was sent to the Eligibility Panel by the MDT that assessed mum. 1 X Forged DST as was created by the Eligibility Panel: It did not contain two severe levels or many high levels either. Because CHC funding eligibility is a financial matter these people had actually committed criminal fraud and criminal forgery. Three months later the Panel member involved in creating the forgery, carried out the review that is required under the rules. Whilst ignoring the rules that forbade her specifically to take that action. The nurse that reviewed was not then, or even now, registered with the Nursing and Midwifery Council. Director’s at the NMC stated that I should report that registration matter to the Police because they could not confirm the identity of the person because they were not registered. The offence is criminal fraud. The unregistered nurse that carried out the three months review, used the forged DST to compare against her latest findings regarding my mum’s needs. She created a DST by copying much of the information from the forgery that she had been involved in making. Again she created a forgery and committed fraud. The unregistered nurse turns up on the Eligibility Panel notes as a contributing panel member. And so she unlawfully made the decision regarding her own assessment recommendation. Twelve months later mid 2011, the same unregistered nurse carried out a full re-assessment of my mum. The assessor would not raise the behavior domain level to severe when the L.A member refused to back down. As the rules require. Instead she sent the panel an incomplete DST without a recommendation and with domains containing question marks where she should have simply raised the scores and noted her reasons for disputing the matter. So again, all against the rules. The L.A could not dispute matters because there was (from 2009 – end 2011) there was no agreed inter agency dispute process in place. My actions forced the NHS to correct that. That failing gave the financial advantage to the NHS. Strange how their “errors” never lose them any financial advantage: The failure was in any case against the rules. The Eligibility Panel was attended by the unregistered nurse. She and the panel decided the recommendation that she and the multidisciplinary assessment team (MDT) members were actually, by law, supposed to make. Again domain scores were altered by the panel, and yet only an MDT can do that. The panel chair completed an internal accounting form that stated that there was no dispute as regards the MDT’s recommendation. Fraud, yet again, considering that this is a financial accounting document. In response to the local appeal the NHS carried out another MDT assessment at end 2011. It was dealt with by yet another Eligibility Panel member that had forged documents. To our later advantage, she awarded levels of need that were very different to those given by the panel, 4-5 months earlier. We went to Independent Review Panel (IRP) at end 2012. They destroyed both assessments, on the evidence and the application of the eligibility criteria. They also took apart the procedures used to gain advantages that the NHS should not have taken. The IRP would not look at any evidence of fraud or forgery. In mid 2013. The NHS backpaid the L.A and the nursing home. (we refused to pay the L.A anything at all). The NHS had placed an objection on my mum’s file. They spent money on an external audit that exonerated them from any wrongdoing. They actually only had the same right as we had…… An appeal to the Ombudsman. I wonder why the highfalutin NHS were too chicken to go down the same path as we would have had to? Cynically, and almost immediately my mum was re-assessed. She was given slightly higher domain levels. The evidence recorded of her needs was almost identical to all recorded previously, the outcome?……. Not eligible again. Months of asking questions and I identified again that under the new rules the L.A and the CCG did not have an internal disputes process. I was told that the CCG and its Commissioning Support Unit (CSU) would no longer respond to my correspondence or phone calls after I had caught them out again. Or I might have been banned because I uncovered that our local CSU was making all of the Eligibility Decisions when the law denied them any right to do so. So much was this true that they have in the last two or three weeks cynically trumpeted on the internet their new initiative to improve eligibility decision making procedures as if it is some great streamlining initiative and not just them attempting to make it seem as if they are complying with law at last. Even the new way they do it is wrong. Any way back to 2013. We appealed at the local level and were ignored. We finally went to IRP again just a few days ago. The IRP sat at a country house hotel (very swish). The NHS were very defensive and even stated that there are no domain levels that automatically permit NHS CHC funding. The IRP went on all day, (the letter indicated a two or so hour time period) and will require them to later sit again to consider the matter (at the same country house hotel). I am eagerly awaiting the outcome. I was not allowed to discuss the procedural failure regarding the CCG’s failure to meet its legal duty in not delegating what the law states is its eligibility making function. Even though the National Framework requires NHS England to abandon an IRP if there has not been an eligibility decision….. If the wrong person makes a decision then it is not a decision at all….. At least that is what legislators and the courts all agree. So I wish you luck but be prepared for a long fight. In reply to Poppy: it sounds as though many things have been done incorrectly – to say the least. If you have the energy, I would generally encourage families to keep going with the process if you believe the outcome is wrong – and that the care needs are sufficient to qualify. Some families do consider court action, in an attempt to hold assessors to account. It’s appalling that families are forced to law in such situations. One would, after all, hope that those carrying out assessments (with taxpayers’ money) would adhere to the law. Sadly, as many families report, this is often not the case. Obviously there’s a cost issue to consider if you do pursue a legal route. You could use the services of a specialist solicitor to help you with the appeal process, even if you don’t actually go to court. Some families also go to the press about what goes on. But I would certainly keep going with the appeal process. If you do decide to engage a solicitor, make sure it’s someone who knows Continuing Healthcare inside out and is experienced in attending actual assessment and review meetings. what if we have been turned down after the check list assessment? ?